A Gift From The Gods is a contemporary lifestyle brand of design-led stationery, sleepwear, fashion accessories, gifts and jewellery for Today's Goddess. Known for our playful slogans and signature graphic prints, our products are created around four distinct design stories. A Gift From The Gods is about to make its mark on the most iconic city in the world, with the brand’s upcoming debut at NY Now. This leading trade show for home and lifestyle products attracts the top American and international buyers to its biannual events. Hosting some of the most innovative and iconic brands in the world at the Javits Convention Centre in the heart of Manhattan. AGFG is set to add its distinctive look to the mix, bringing its collection of statement stationery, loungewear, gifts, and accessories to international distributors and retail buyers from North America, South America, Canada, and beyond. Buyers can find A Gift From The Gods in the Gift area at stand #7137 between the 3rd and the 6th of February 2019.
alongside a spring/summer 2019 collection which is bigger and more beautiful than ever before. With extended ranges of stationery, loungewear, fashion accessories, gifts, and tote bags all making their trade debut for 2019. Defined by the four distinctive design stories that make up the central pillars of the AGFG brand, the spring/summer ’19 range is all about freshness and vibrancy. Buyers should expect to see bold pastels, statement fabrics, and shimmering metallics in versatile accessories that allow customers to express their unique style personality. collection dedicated exclusively to fabulous fabric. AGFG is already a hit with American customers. With stylish US shoppers indulging their goddess side through the brand’s online ecommerce store. This year, with the brand’s premier appearance at NY Now, US and international buyers can bring these most-wanted products into their stores. NY Now is an event you don’t want to miss. Find A Gift from The Gods at the Javits Convention Centre in the Gift area at stand #7137, between Sunday 3rd and Wednesday 6th of February 2019. 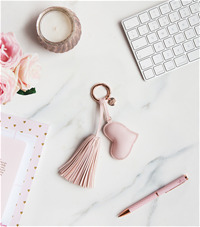 Fall in love with these super cute, mini tassel keyrings. Accessorise your keys in fabulous fashion colours and never lose them again they'll be so easy to find. Choose the colour palette to match your bag or personal style with the elegant A Gift From The Gods design story in white and silver or the Calligraphy and Hearts in pinks and rose gold. Go for Dream Odyssey colours in aqua, lilac and peach and get inspired by the purple, blue and gold of the Get Your Goddess On set. 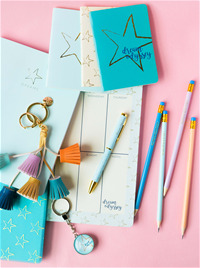 Our stationery collection includes an undated journal for Dreams, a desk planner, cute set of 3 mini notebooks and essential A5 and A6 handy notebooks. 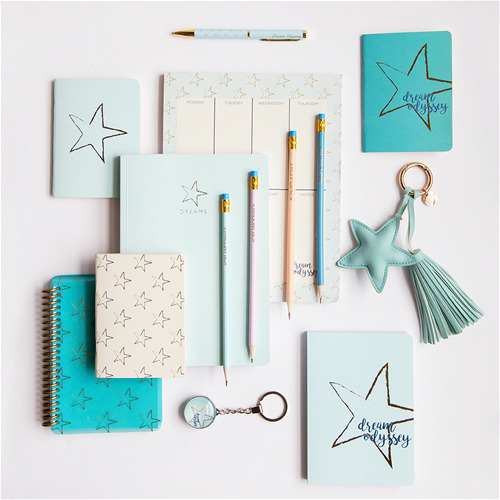 Team these with the matching pen and pencil set, the perfect stationery gift set. 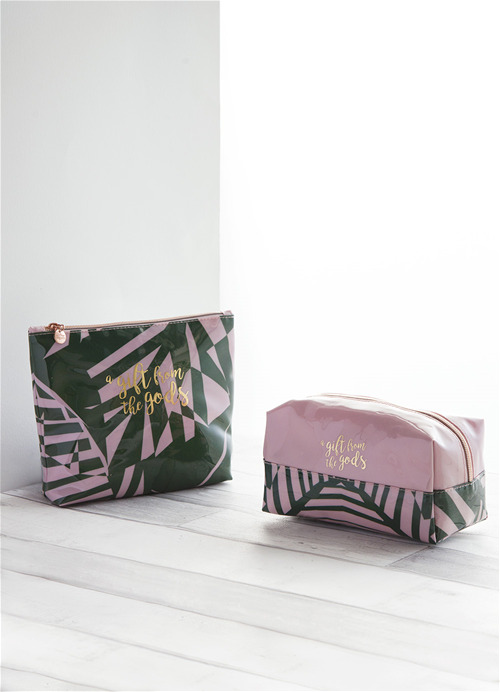 Choose from our larger cosmetic bag or our best-selling square bag for your spring/summer offering. Both styles available in each of our distinct design stories. Choose from our A Gift From The Gods geo print, our tropical Calligraphy & Hearts collection, light washed stripes in our Dream Odyssey story or strong graffiti print from our Get Your Goddess On range. 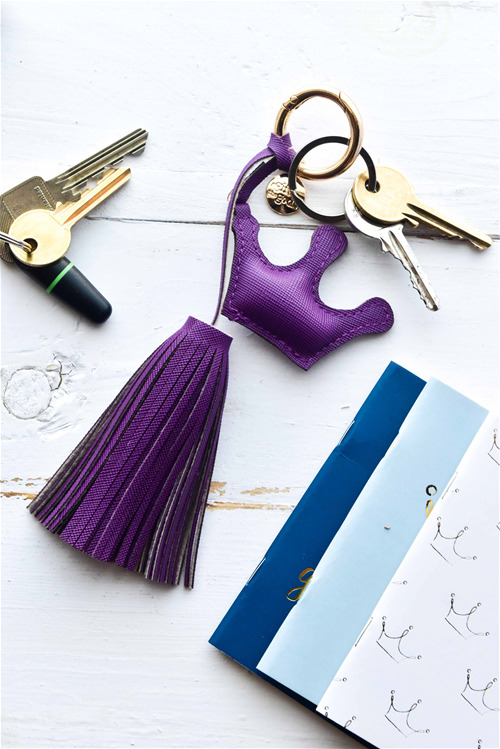 The playful combination of a fun and thoughtful shape, teamed with a flirty tassel and our charm tag makes the perfect gift. Choose a silver circle, a romantic pale pink heart, a pretty aqua star or a cute purple crown, whichever suits your offering best. 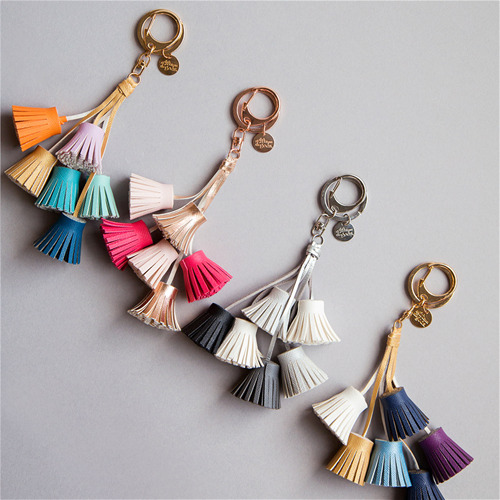 Team these with the matching multi tassel keyring to offer the best of statement keyrings. 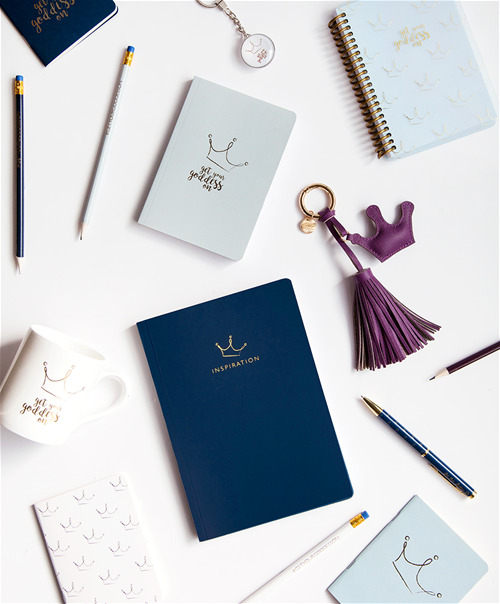 Our stationery collection includes an undated journal for Inspirations, a desk planner, cute set of 3 mini notebooks and essential A5 and A6 handy notebooks. 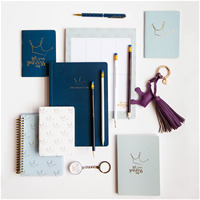 Team these with the matching pen and pencil set, the perfect stationery gift set. Cosy up with our collection of gorgeous sleepwear and loungewear. Get luxe with our indulgent satin PJs or our super-soft loungewear. We design sleepwear that is ultra-comfortable and effortlessly stylish, with most sets come gift-wrapped so you don't even need the hanging space! Explore our nightwear range now with A Gift From The Gods.